Sony is in dire straits. Major rating agencies Fitch and Moody's have downgraded the company to "junk" status. Standard & Poor's has warned it could soon do the same. The company has announced plans to scale back its smartphone business. On Friday, Sony reported a second quarter net loss of $1.2 billion, and the company confirmed it's on track to lose a staggering $2.1 billion this fiscal year. Since assuming Sony's top job in 2012, CEO Kazuo Hirai has spun off the company's television business, sold its Vaio PC operation and slashed thousands of jobs in a bid to rapidly restructure the company. These are the kind of changes that investors have been calling for. But so far, the CEO has little to show for his efforts. That stands in stark contrast to Sony's glory days. The Sony Walkman revolutionized the way people listen to music, and Sony's Chromatron and Trinitron lines brought color television to the masses. But engineers across the company say they are not dwelling on the past. Instead, they are hard at work developing products that might revive the firm. At one Tokyo campus, a deputy manager demonstrated a credit-card sized electronic device that is designed to replace a wallet full of cash cards used by millions of Japanese consumers. The device connects to a smartphone, and allows users to easily buy train tickets or snacks at the convenience store. Sony (SNE) is also developing "SmartEyeglass," a wearable pair of glasses that the company says will act as a second screen for a user's smart phone and eventually incorporate facial recognition technology. The criticisms of these products are familiar -- Alibaba and Apple already have payment apps, and Google Glass already exists. Where is Sony's next revolutionary offering? While Sony waits, the company will rely on proven strengths, including its PlayStation console and high-res audio division. The company's Hollywood studio is in good shape, as are its imaging and finance units. But can Hirai accelerate change, and answer critics including activist hedge fund managers like Dan Loeb of Third Point? Loeb has pressed the CEO for a more far-reaching restructuring of the company, including a spin off the film and music division. Analysts say something must be done. "In high grade products, they still have relatively strong brand recognition in the Japanese market. But globally, unfortunately, no," said Makiko Yoshimura, an electronics analyst with Standard and Poor's. "It's very tough to maintain competitiveness of technology. It's a very tough challenge." A walk through Toyko's world famous Akihabara electronics district reveals the difficulty of the task facing Sony. Hirroki Ueno, a young salaryman, holds an iPad as he speaks to CNN. 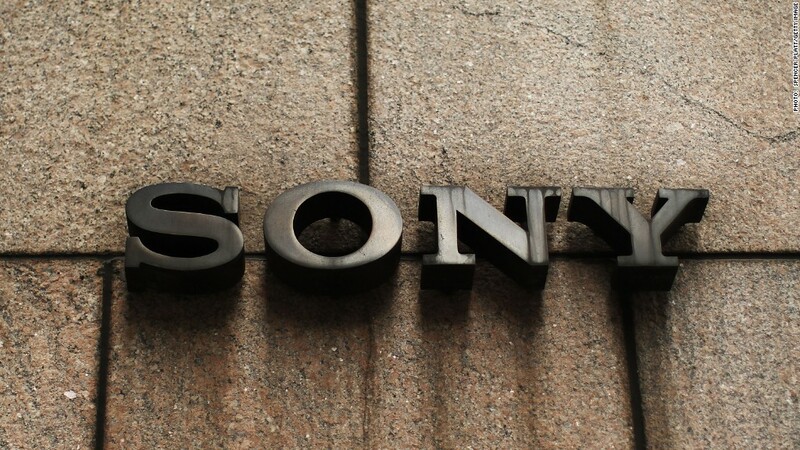 "Sony doesn't seem to be making new products like they used to," Ueno says. "It seems like they haven't done much in the last 10 years."